Modern tactics by military and police missions have changed in the last years and therefore the demands to the equipment. Very often the first seconds are deciding. 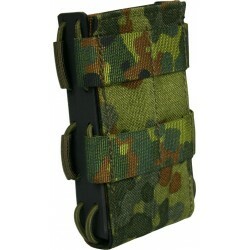 Very important requirements are the rapid magazine change, therefore we have developed our quick draw magazin pouches. With this series, we support you in the deciding moments, where you haveto be very quick. You can find versions for G36, M4, P8 and many otherrifles and pistols. Quick draw magazine pouches There are 10 products. 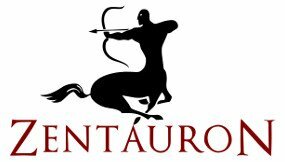 The ZentauroN® Quick Draw Magazine Pouch for two G36 magazines. High draw and return speed thanks to the hybrid solution of Cordura® and Kydex®. The contact pressure can be adjusted to the user via the rubber cords. 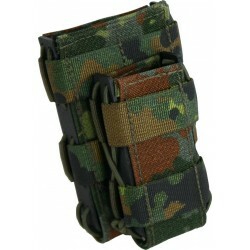 Attachment to all common MOLLE/PALS systems with the Faststick System. The ZentauroN® Quick Draw Magazine Pouch combined for G36 and P8 magazines. 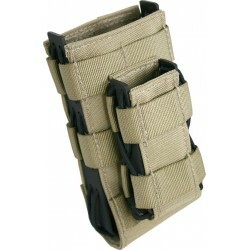 The ZentauroN® Double Quick Draw Magazine Pouch for two M4 magazines or NATO 5.56 caliber. 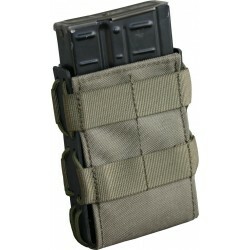 The ZentauroN® Quick Draw Magazine Pouch combined for M4 and P8 magazines. 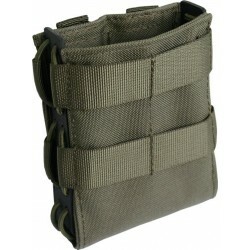 The ZentauroN® Quick Draw Magazine Pouch for G28 magazines. 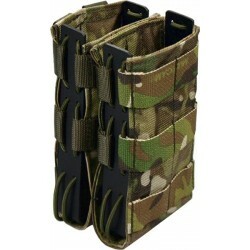 The ZentauroN® Quick Draw Magazine Pouch for G36 magazines. 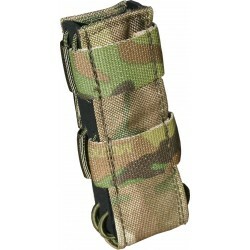 The ZentauroN® Quick Draw Magazine Pouch for G3, Scar Heavy, M 14, FN FAL and many magazines in caliber 7.62 NATO. 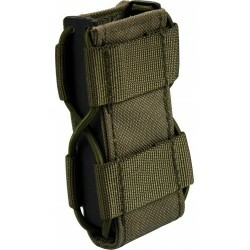 The ZentauroN® Quick Draw Magazine Pouch M4 and NATO caliber 5,56mm magazines. The ZentauroN® Quick Draw Magazine Pouch for Mp5 / MP7. The ZentauroN® Quick Draw Magazine Pouch P8 is suitable for all common double-row pistol magazines, as well as P8.